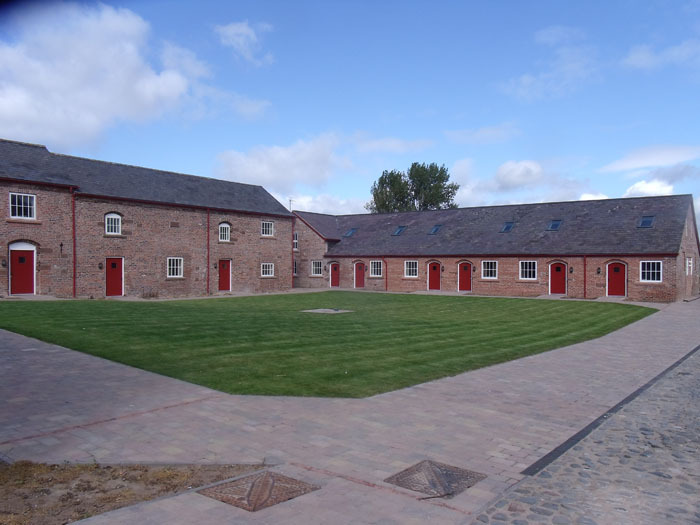 Cotton Hall Farm near Chester, Save the Family’s latest support complex, opened on 1st October 2011 providing emergency accommodation for 33 homeless families, received some well deserved recognition at the LABC North West Region Building Excellence Awards 2012. The awards were held at the Reebok Stadium, home of Bolton Wanderers on Friday 11th May 2012 where Cotton Hall Farm was nominated in the ‘Best Small Commercial Building’ Category. The Awards, for exceptional projects put forward by LABC Local Authorities, are an opportunity to celebrate the very best construction in the Region, recognising the high level of skill and professionalism that the building industry is capable of achieving. After more than four years of preparation and fundraising, Save the Family’s new Together Village at Cotton Hall Farm near Chester will replicate the activities of Save the Family’s existing family village at Plas Bellin, Flintshire. It provides homeless families with access to temporary accommodation, adult training facilities and personal support to help them re-settle back into the local community. The facility provides additional homes to accommodate homeless families, made up of one, two and three-bedroom houses and apartments. Other facilities include an early intervention nursery for babies and toddlers. The farm’s renovated Dutch Barn also provides the focus for adult training activities, including workshops, a computer training suite, cookery skills kitchen and community hall for resident use, with a small sports hall for a variety of activities, outdoor play areas and an outdoor sports pitch. Save the Family’s unique approach in keeping families together has attracted nationwide praise from those concerned with helping the homeless and poverty-hit families. FOB are also assisting The Charity with their overall estate management with a view of developing other centres around the Country. Print article This entry was posted by Neil Price on May 16, 2012 at 10:05 am, and is filed under Charities. Follow any responses to this post through RSS 2.0. Both comments and pings are currently closed.